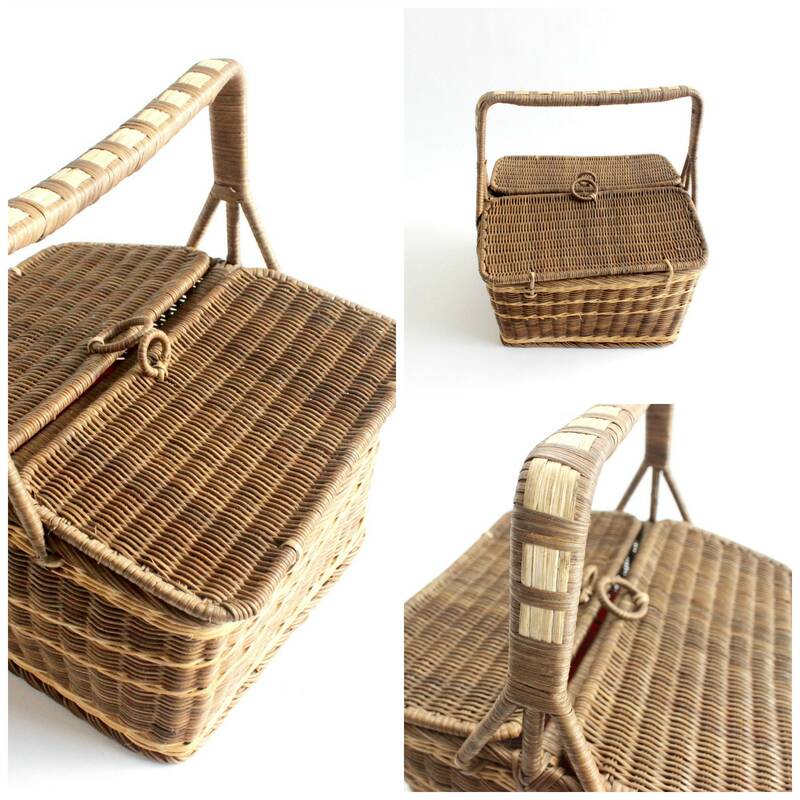 Vintage wicker picnic basket. 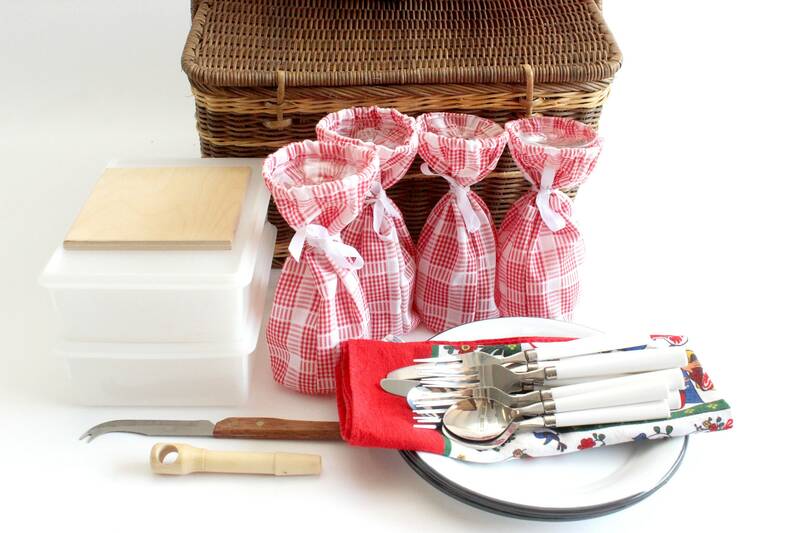 Fully loaded picnic basket with a wine and cheese place setting for four. 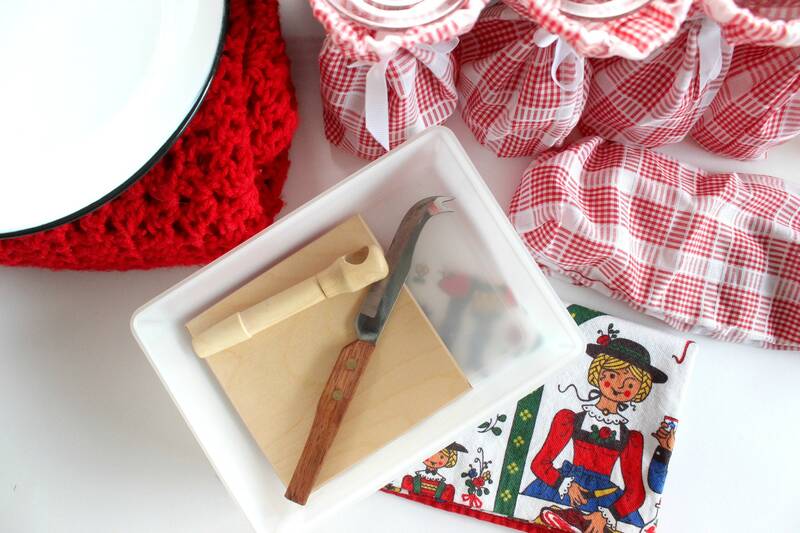 This is a large 28 piece collection that includes 1 woven basket, 1 red knit blanket, 1 Bavarian tea linen, 2 plastic Super Seal containers, 4 wine glasses with covers, 4 enamel plates, 4 spoons, 4 forks, 4 knives, 1 small cutting board, 1 cheese knife, and 1 wooden bottle opener. 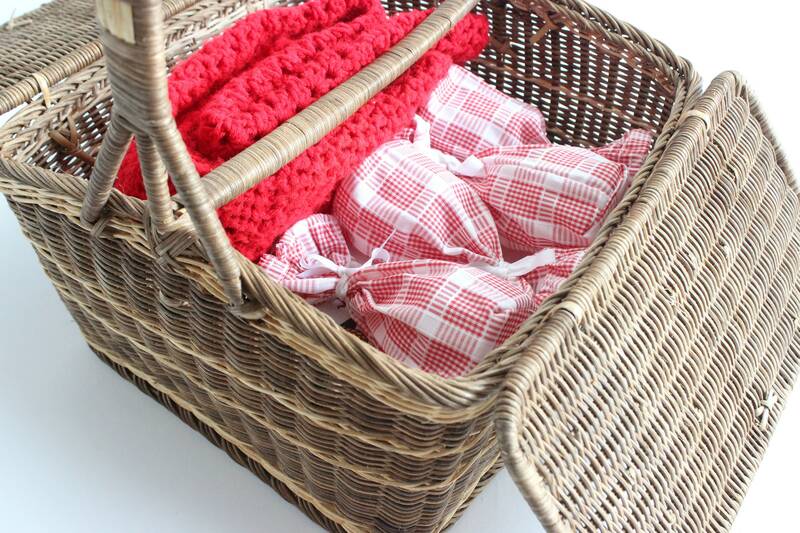 This is a square shaped picnic basket with a tall handle and two lids that swing up to open. The knit blanket is very soft. 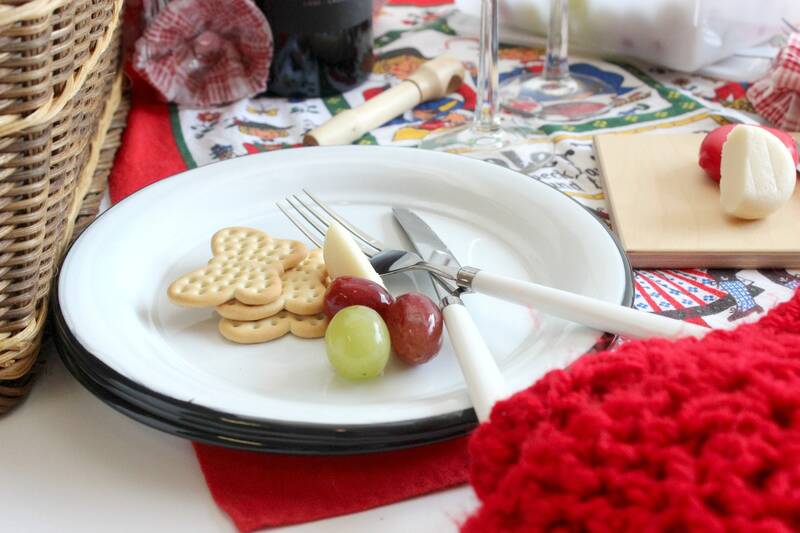 It can be used to as a tablecloth to eat on, padding to sit on, or a blanket to cozy up with. 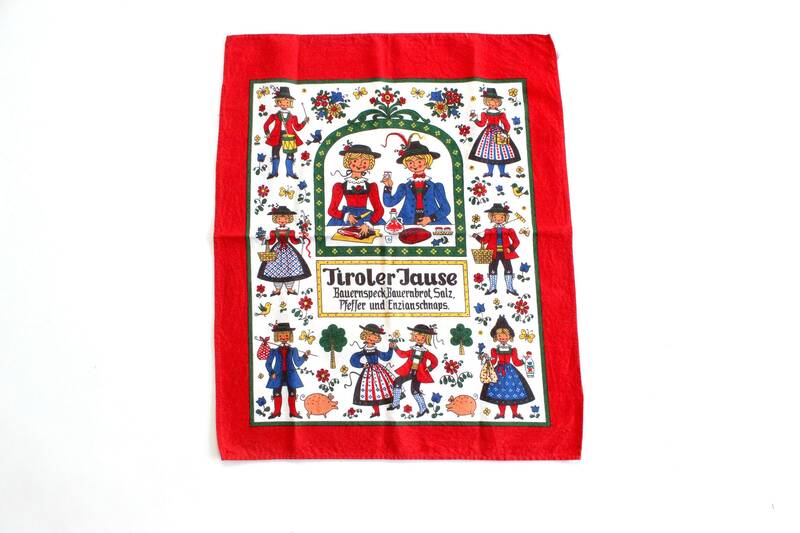 The Bavarian tea linen is a lot of fun and will add an extra bit of whimsy to your picnic! Vintage/used condition. 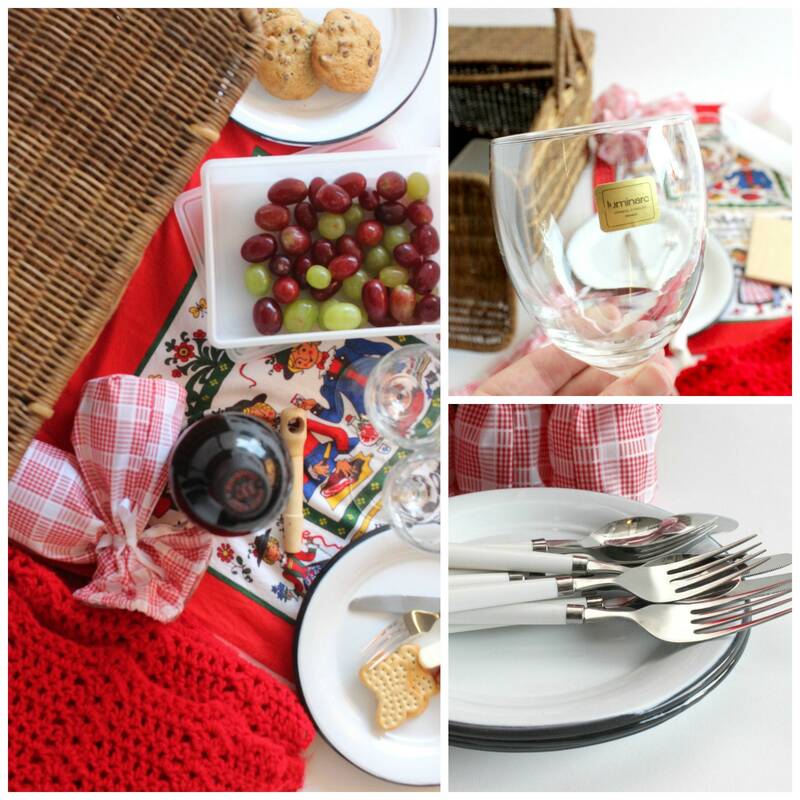 Wine glasses and plates are in excellent condition. Original "Luminarc France" sticker is still on the wine glasses. The blanket and linen have some light wear. 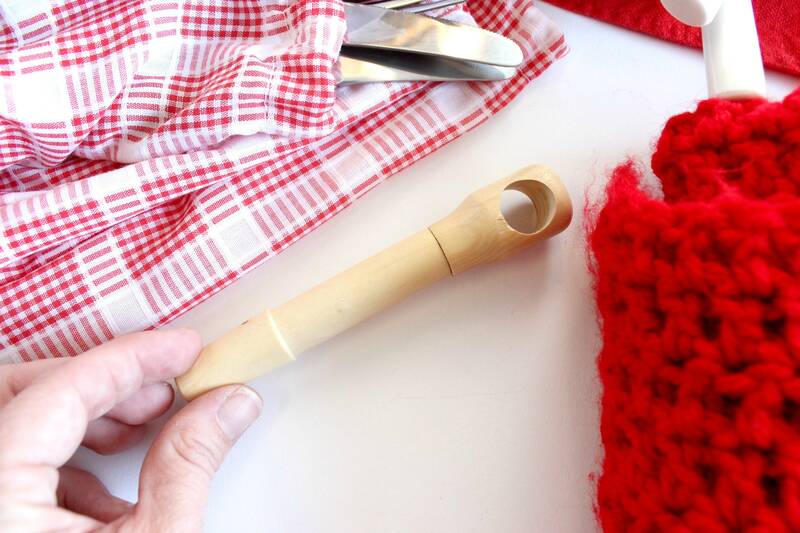 Some light stains can be seen on the linen. Basket measures about 15.5 inches square and 17 inches tall. 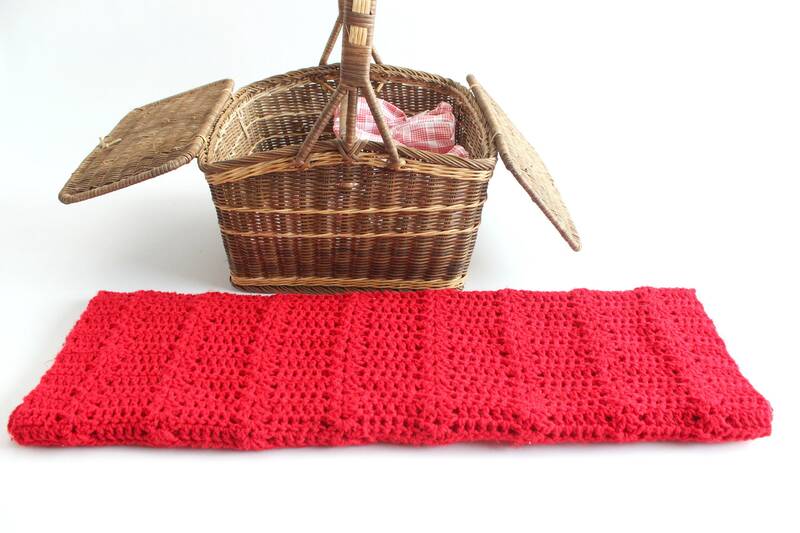 Knit blanket: 41 inches long and 31 inches wide. Tea linen: 21.5 inches long and 17.5 inches wide. Wine glasses: 7 inches tall. Plates: 8.5 inches across. Cutting board: 5 inches square. 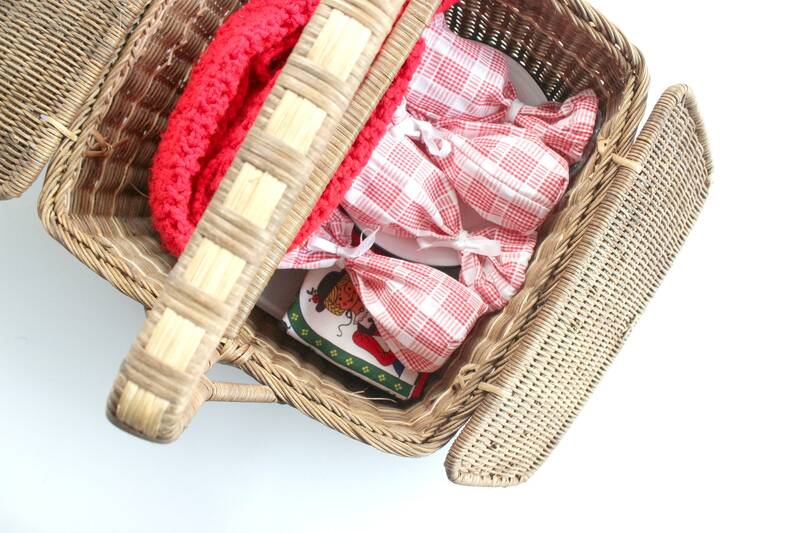 All items fit inside the basket. Please message for more detailed measurements of any item. I will be happy to provide them.